I was not compensated for this post but did receive complimentary admission to view the exhibition. STEM. This buzzword has become increasingly more popular amongst parents and educators in recent years. It’s no secret that Science, Technology, Engineering, and Mathematics are the core applications moving us forward, or into the future, and although the focus around STEM in education seems to be more prevalent today, if we were to take a look back, evidence would suggest that it has always played an essential role in human life. The DoSeum, an interactive children’s museum in San Antonio, does a great job of bringing this to light in their newest traveling exhibition, Science Fiction Science Future. This exhibition gives us the opportunity to dip into the past and skip into the future to catch a glimpse of the role that STEM has played and continues to play in the course of human development. Designed by Scitech, a company out of Australia and produced in conjunction with Imagine Exhibitions, this traveling exhibition offers children the ability to actively experience STEM first-hand. 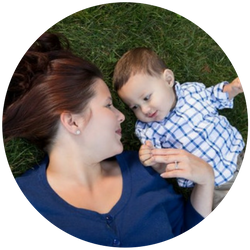 Through 15 interactives, children are able to see and appreciate the progress that we have made and experience the awesome things that are to come. 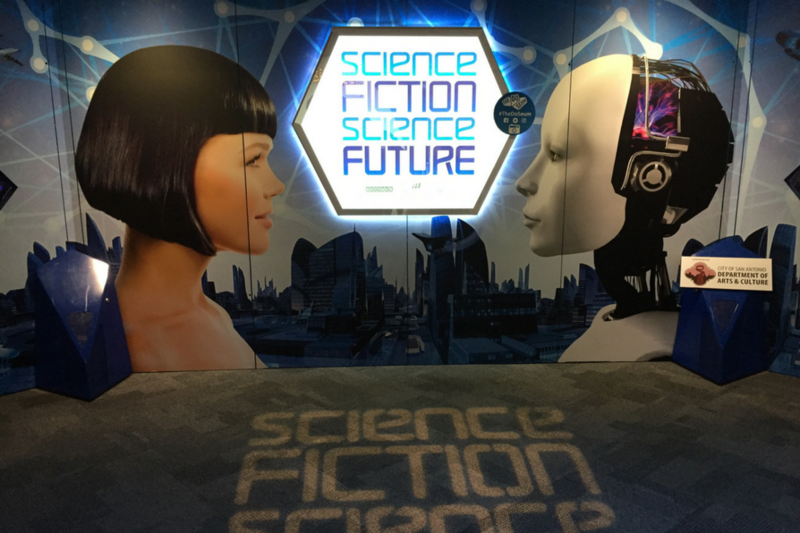 I had the opportunity to visit the Science Fiction Science Future exhibit myself and found it to be exciting, entertaining, and educational. There is so much to learn about our past and even more about our future! My favorite exhibit was Future Past. This exhibit displayed, by year, projections of how science would mold our future and it predicted what kind of cool gadgets would become commonplace in everyday life. Shockingly enough, there were many predictions that somewhat resemble some of the things we have today and the fact that some of these predictions were made so long ago is amazing. To see the current predictions for our future is intriguing and it will be amazing to see what the future holds for us. The exhibit runs from October 7th through January 6th, 2018- so there’s still plenty of time to see it. It would make for a great winter break outing, holiday gift, and/or a birthday treat. ***There are also discounts offered for Military and Educators. There are also Membership options. Follw the links for more information on the Science Fiction Science Future Exhibition and check out the DoSeum’s website for more activities and fun. There is so much to do and learn at the DoSeum and it’s fun for both parents and children alike. Have you been to the DoSeum? 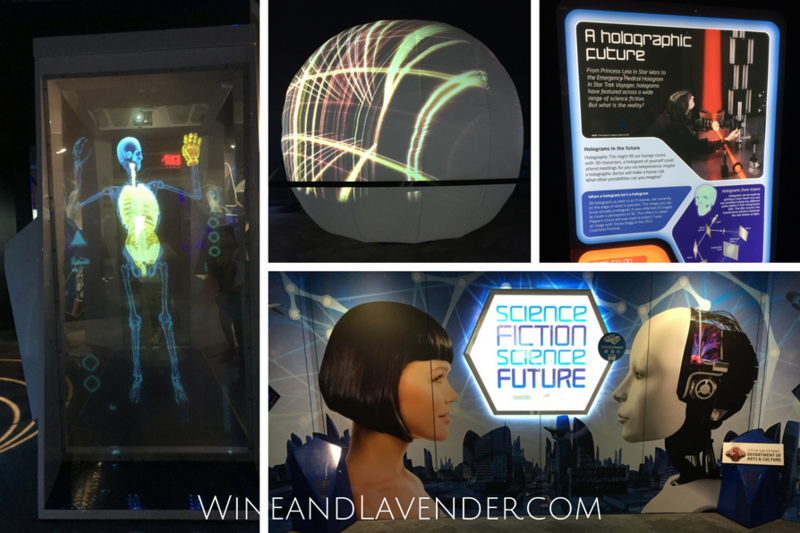 Have you seen the Science Fiction Science Future exhibit? What were your thoughts? If you’re looking for some more fun things to do with kids, check out: Legoland, Sealife Aquarium, and Chuck E Cheese. This looks like so much fun!!!! My niece would have a blast at something like this, I even think my bf and I would too! haha Thanks for sharing. Thanks Tonya! It really was a great exhibit. This sounds like so much fun! We’ve been in Houston for a couple years now and want to take a trip to San Antonio soon. I bet my boys would love this! How cool is this!?! My son would have had a blast – he loves his STEM program at school and the afterschool activities – he would love this! This looks like so much fun! We have a science center near us that my son and I love to go to. I was amazed by all of the exhibits showing what was once a dream becoming reality. I love things that are hands-on like this. The DoSeum looks like such fun and my kids would really enjoy this. If I’m ever in San Antonia this will be on my list of to-dos. Thanks for stopping by, Jessica! You’ll love it! I used to spena a lot of time in our local science museum back in India, Your post makes me very nostalgic about that. Thanks for the memories. This place looks so fun! I’m a fan of sci-fi movies so there’s nothing better than seeing such things in real life. Love it so much! Thanks Linh! It was fun to see what we imagined for our future and what actually became. It’s so much better taking them to a place where they can see AND do AND touch. They love it. this sounds so much fun! i love science fiction!! will have to check it out! If you like science fiction, you’d definitely like this exhibit, Ananda. This looks like an amazing place of wonder! I would love to visit and explore. Hey Deb! You’d really enjoy it. Wow! This is really interesting. HOnestly, I haven’t seen anything like it before. It’s very different from any of the museums I have visited. Thank you for sharing this. The DoSeum is an awesome place for kids to see AND do! We love it. Oh this place looks so fun! I think my kids will really enjoy this. 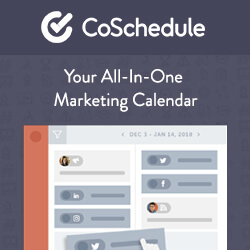 This looks awesome and hands on is great! Stem is so important as well and it looked like a cool and fun experience! Thanks, Thena! It was a great time.